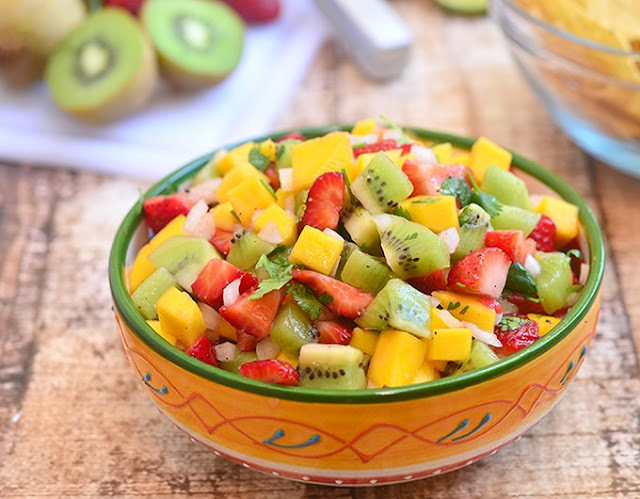 In a large bowl, add strawberries, kiwi, mango, onions, jalapeno, and cilantro. Add lime juice and season with salt and pepper to taste. Gently toss to combine. Serve immediately.